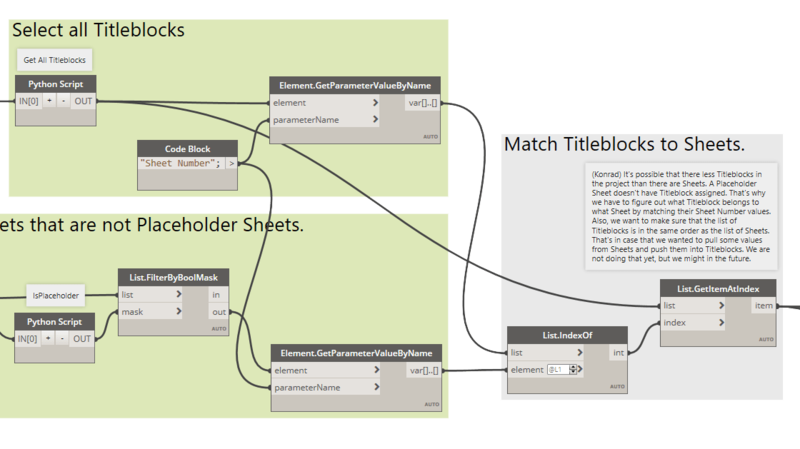 Once we have all that covered we can now match up our Titleblocks with Sheets. You can see how we just retrieve the Sheet Number parameter from both Titleblocks and Sheets, then use List.IndexOf and List.GetItemAtIndex to retrieve a matching list of Titleblocks/Sheets. We can then move on to our next step, which is to retrieve some of the parameters, swap Titleblock and write these parameters to it. That’s it! 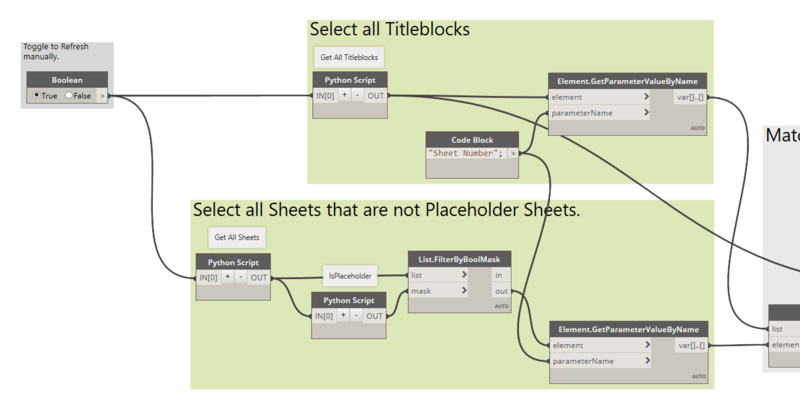 You have effectively replaced Titleblocks for Sheets, without losing any previously assigned parameters. I hope this was useful. Starting to fiddle with your script, but failing atm. I want to adjust the script in a way that it doesn’t require a single title block type as new one. In my case the title blocks to be replaced are the same, with same types. So familyname 00_PA_TB – …. becomes 00_EEC_TB – …. All the types are the same for both families. Please see attached the adjusted verison. Any thoughts on where I’m going wrong?